Look for art here, there and everywhere at Epcot! Culinary art. Paintings. Performance art. Playful photo ops. Disney on Broadway shows with top talents. Interactive art and workshops for everyone in the family. Find all of this and more at the 2019 Epcot International Festival of the Arts as it returns for a third year of creative family fun, now through Feb. 25. 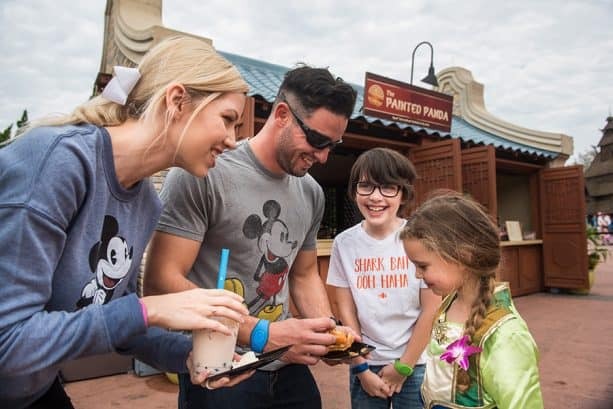 Guarantee your seats by booking a Disney on Broadway Concert Series Dining Package for breakfast, lunch or dinner at a participating Epcot restaurant. Visit Disneyworld.com or call 407-939-3463. Hungry yet? 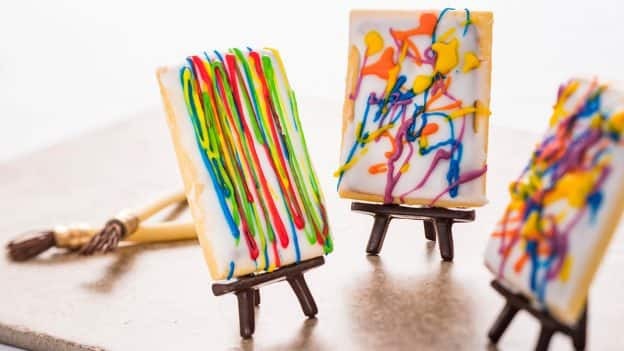 Get ready to taste, and taste some more, around the World Showcase Promenade where 13 Food Studios feature bites and sips of culinary magic that take food art to a whole new level. Conjure this: Smoked salmon and cream gateau with egg yolk cream, micro herbs and – wait for it – paddlefish caviar at The Painter’s Palate. Or consider these delectable diversions at Decadent Delights: the lemon and blood orange tart and the white chocolate and purple sweet potato mousse with caramel, coconut and maple meringue. Sweet, indeed! 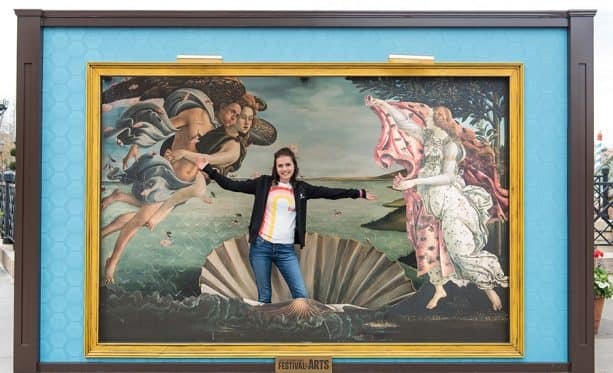 Get your magnum opus on when you step inside an Artful Photo Op iconic painting. Make your artistic mark when you pick up a paintbrush and add to the paint-by-number mural along World Showcase Plaza. Gape at the astonishing talent of performing artists who showcase gravity-defying feats, acrobatics and other skills. Be a sleuth and join Figment’s Brush with the Masters Scavenger Hunt; maps can be purchased at select merchandise locations. Visit tastefully curated gallery exhibitions, and meet over 100 artists who will be appearing throughout the Festival in over 30 locations around Epcot. Take in a high-energy performance by watching visual artists paint favorite Disney characters live onstage. Bursting with artistic potential of your own? Join a complimentary seminar led by a true pro with specialties ranging from photography and cosmetology to watermelon carving and even the art of Disney topiary. Or, for a small fee, sign up for an interactive workshop with one of many artists booked Fridays through Mondays to give you a creative hands-on experience and walk away with your own memento. Call 407-WDW-TOUR or visit the Odyssey Festival Showplace. 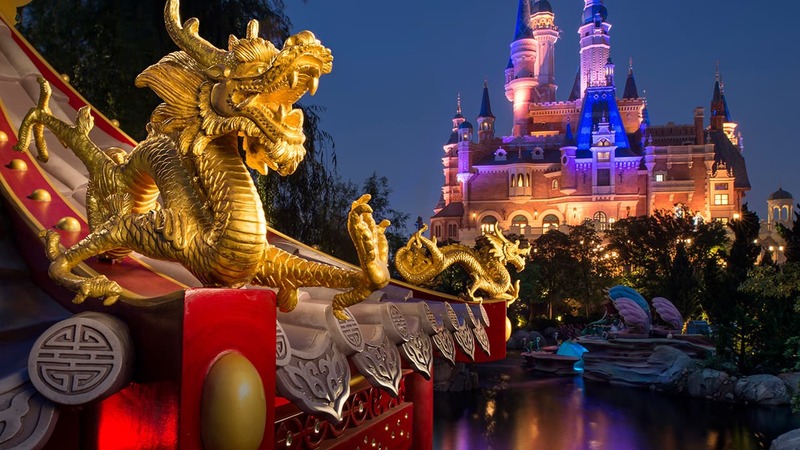 Now, more than ever is the time to start planning your visit to the 2019 Epcot International Festival of the Arts. Keep checking the Disney Parks Blog for more updates!